U.S. pharmaceutical company Abbott Laboratories said it would stop launching new medicines in Thailand in protest of the government's move to override international drug patents. The decision will not affect Abbott drugs already on sale in Thailand. In January, the Thai government declared a "compulsory license" allowing it to make or buy generic versions of Abbott's HIV drug Kaletra. "Thailand has chosen to break patents on numerous medicines, ignoring the patent system … as such, we've elected not to introduce new medicines there," said Abbott spokeswoman Jennifer Smoter. 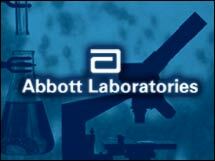 The move by Abbott was condemned by international organizations including Doctors Without Borders and the AIDS Healthcare Foundation.